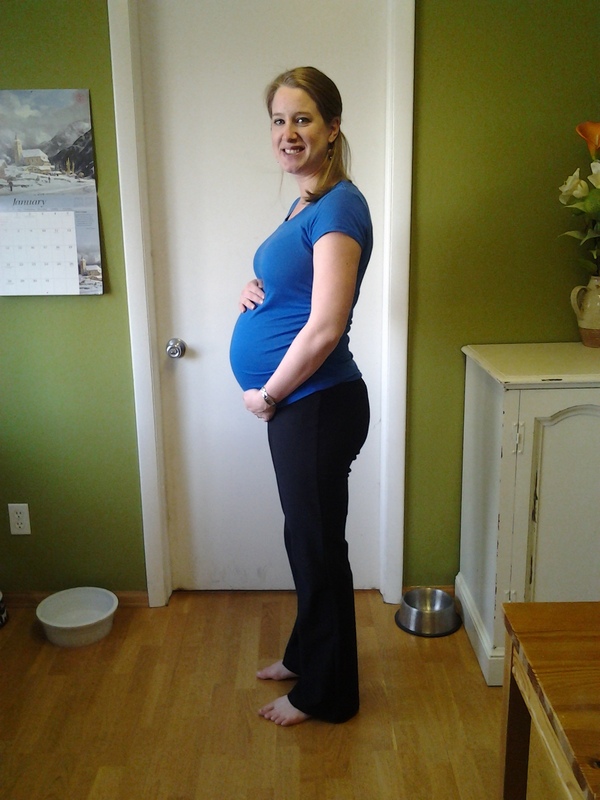 I’m officially in the third trimester now! WOW. Our first childbirth class on Saturday went well. I didn’t really learn anything new (since I’ve been reading up on the whole birth thing trying to figure out my desired approach) but it was helpful to practice relaxation techniques with Travis. We have the class again next Saturday and we get to tour the hospital, which I’m excited for. On Sunday, we made some more progress on the nursery – we hung up the shelves that we bought at Ikea and I bought some picture frames for the wall. I’m also on the hunt for a poster to go in a frame I already have and think I decided to buy this one after Emma is born. So freakin’ cute. I’m a sucker for anything with birds. As far as the pregnancy itself goes, I’ve been having A LOT of Braxton Hicks contractions this week. Like probably one an hour on average. They don’t hurt but they are noticeable – it’s like my stomach gets really upset for a minute or so. Which makes me wonder that maybe what I thought was Emma moving back during weeks 15-18ish were really Braxton Hicks? Because it’s the exact same feeling, and completely different from her kicking. Kicking is a good sensation! A contraction is not. I also think Emma went through a growth spurt because I’ve been having a lot of round ligament pain in my lower belly, I feel like my belly is HUGE this week, and I gained 2 lbs in a week, which hasn’t been the trend. Last week’s workouts were pretty much non-existent, due to our trip to MN. I’m back on it this week. Target has some awesome maternity clothes! They got mixed in with the regular sales racks and I ended up buying a maternity sweater just because I loved it so much and it was super cheap! You seriously can’t even tell! The nurse at my doc’s office said that higher than normal weight gain around this time is normal, phew! I’ve gained at least 1.5 lbs every week for the past month!